We'll Make Sure You Get the One that's Right for You. Yes, you could buy a vacuum from a big-box store, but how do you know if it's the right one for your needs? At Capital Vacuums, we'll help you find the right one to meet your needs and your budget. 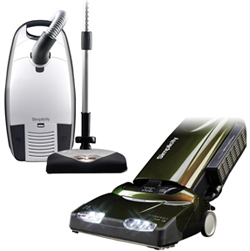 There are many types of vacuums, and plenty of makes and models. In order to find out what's right for you, we'll spend time learning about your cleaning habits, your home, and what you need to accomplish. Only then can we get you the right tool for the job. We offer extended 10 year warranties on a lot of our vacuums, a no-pressure shopping environment, and a huge selection. 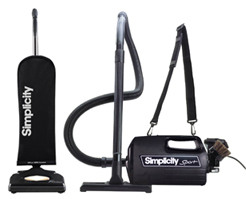 You can even throw dirt on our floor and try out whichever vacuum you like! You'll be vacuuming for a long time - you just can't get away from it. A trip to our showroom is worth your while. We'll make your visit pleasant, give you all the information you need, and help you make the best decision. And if you want to shop around, we're the only store that will tell you where our competitors are! Yes, You Can have and Maintain a Clean Home. We Can Help.